Having an effective supply chain strategy that drives down costs, improves patient outcomes, and supports high-margin services is an imperative and a significant competitive advantage for any healthcare organization. Supply chain costs, which include the true cost of procurement, storage space, and utilities constitute up to 50 percent of most hospital budgets. Today, dramatic changes in the continuum of care are putting downward pressure on healthcare institutions to cut these costs and increase revenues to stay in business. Driven to thwart such challenges, Swisslog Healthcare delivers end-to-end automated material transport, medication management, and supply chain management solutions that increase efficiency and enhance the patient experience in health systems. “Our vision is to lead change for better care. We focus on empowering the medication supply chain by transforming workflows,” says Stephan Sonderegger, CEO of Swisslog Healthcare. To support the increasing growth of health systems and efforts to streamline and standardize processes across hospital networks, the company recently introduced consolidated service center (CSC) solutions. “A CSC is like a primary distribution point for healthcare resources—from med/ surg supplies to medication,” says Sonderegger. A cost-cutting strategy, consolidation and self-distribution enables health systems to simplify, streamline, and centralize supply chain and pharmacy workflows, resulting in improved operational efficiency. The company supports medication and med/surg supply chain management in a CSC through a portfolio of innovative solutions which include inventory and warehouse management software, robotic packaging and dispensing systems as well as automated goods-to-person storage solutions. Within a hospital, automated solutions comprising pneumatic tube systems and autonomous service robots assist in movement and distribution of materials like medications, blood samples, and hazardous materials across the hospital. This results in enhanced workflow processes and improved turnaround times. Staff can now spend more time with patients, focusing on better care delivery. In addition, Swisslog’s fully automated modular storage and retrieval system for hospital pharmacies helps in automating the picking, packing, labeling, and storage of medications and supplies, thereby eliminating picking errors and creating efficient pharmacy workflows. “Fully automated goods storage, retrieval, and delivery create system-wide connectivity, giving better visibility into the value and location of inventory,” explains Sonderegger. They also handle incoming and outgoing orders of medications with KLAS-leading inventory management software, accurately managing drug inventory, decreasing carrying costs, and reducing waste to improve the operational health of the pharmacy, ultimately ensuring that the right drug reaches the right patient. Swisslog Healthcare solutions easily interface with automation and third-party software, thereby connecting the supply chain to patient delivery. Since 2015, Swisslog Healthcare has been a member of the KUKA Group, a leading global supplier of intelligent automation solutions. “This strong strategic partnership strengthens our position as a leading innovator,” adds Sonderegger. Swisslog also has a strong global footprint that spans the U.S., European, Chinese, and Asian markets. 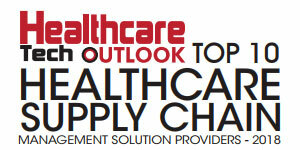 Forging ahead, Swisslog Healthcare plans on introducing new software to enhance its supply chain automation. They are also working on launching service robots that will navigate hallways and elevators around the clock, delivering medications, lab samples, and other critical items. “We have also invested in companies like PipelineRx and are collectively working on creating solutions that drive medication adherence,” winds up Sonderegger.